Campaigning is a crucial part of raising awareness. Being on the spectrum or being the carer of someone on the spectrum is an experience that most people find difficult to comprehend. Therefore as difficult as it may be, we need to be the driving force behind campaigns that highlight autism and how it affects everyone around us. 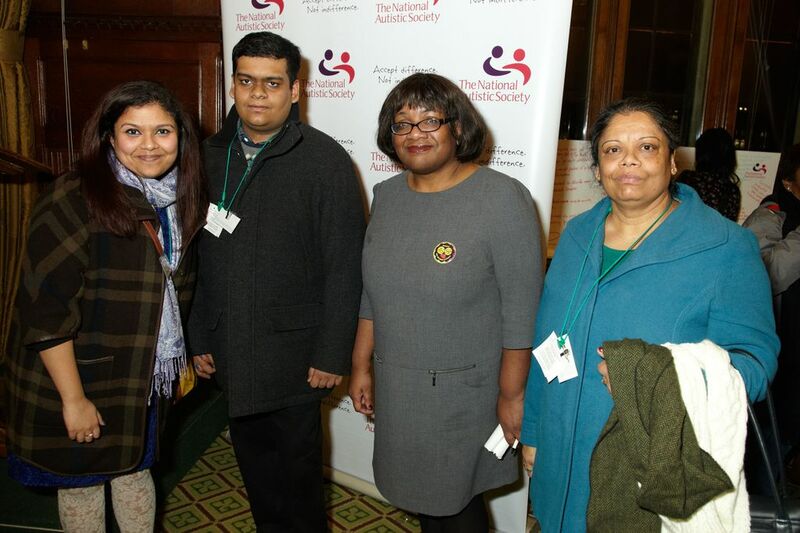 On 12 February, the NAS, with the support of Diane Abbot, MP, launched a new project to raise awareness of the specific issues facing those with autism from Black and Ethnic Minority (BME) Communities. This was a one of a kind event which had a fantastic turnout and achieved attendance from MPs and Peers from across the political spectrum. So why have a BME specific campaign? In a report by NAS (Missing out, 2007) it found that 24% of BME children had been excluded from schools, while 78% said their local authority did not provide support to their children during exclusion and more than half of parents from ethnic minorities whose children have autism did not have a choice of school. BME parents were also “significantly” less satisfied with their child’s academic and social progress compared to their white counterparts. This painted a stark picture of access to educational services within the BME autism community. Seven years on and these issues are still pertinent; more so, given that resources are rapidly declining and unfortunately those who demand services are more likely to gain access to them. There are clear issues which highlight the plight of many people with autism within the BME community. Firstly, evidence about the prevalence of autism in various communities and its impact on family life is inconsistent. Evidence has highlighted that communities may not be aware of autism, their rights and relevant services. Finally, services that are available do not always meet the needs of these families. For me personally, I have never thought about the link between ethnicity and disability and how a substantial amount of the autism community is currently facing double discrimination. I suppose this is more of a reflection of how insular the fight becomes for you on a daily basis that you lose sight of the bigger picture. Going to the event, was an opportunity for me to think about the greater impact current changes are, and most certainly will be, having on all of us. If members within our community are not able to access even the most basic help with regards to finding much needed support then we clearly are failing in our own roles as advocates and champions. I hope this event is one of many that will pave the way for highlighting this issue more and make accessibility to information that little bit easier. I am delighted that we were able to get a substantial presence for autism within parliament and I am extremely hopeful that it will provide some much needed support to our fringe members who do on a daily basis feel even more marginalised.